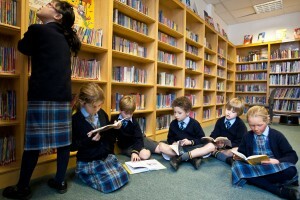 The Library, open all day and every day, is situated at the heart of the school and reading for pleasure is paramount. The wide range of resources includes books, newspapers, magazines, audio books, DVDs & graphic novels. 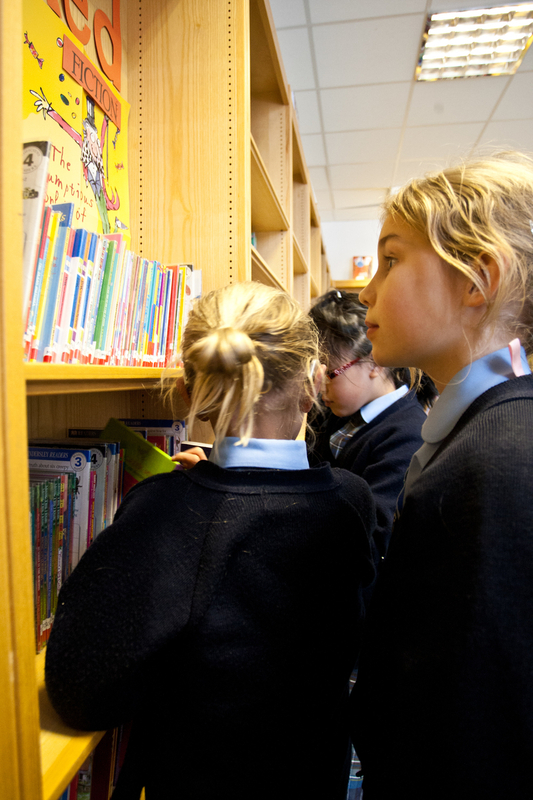 All pupils attend a lesson in the library every week as part of the English curriculum and are able to frequent the library in any free time throughout the school day. Our librarian is full time and is assisted by Library Prefects who apply for the opportunity to be appointed. She works closely with Heads of Departments to support and enhance the quality of curriculum education for both students and staff by providing appropriate and up-to-date resource material. At the heart of all library activities is the desire to create a passion for reading. A highlight of the library year is celebrating World Book Day when all the pupils and staff come to school dressed as characters from books and the whole day is spent in activities, competitions and quizzes related to children’s literature, which includes an author or poet visiting for the day to talk to the children and lead workshops. Other activities include entering the internationally renowned Kids’ Lit Quiz , ‘Read for my School’ challenges and the Carnegie Medal Shadowing book club. Following a highly successful pilot, we now use Accelerated Reader (AR) to support the reading progress of pupils throughout the school. AR is a powerful tool for monitoring and managing independent reading practice while promoting reading for pleasure. The theory of this innovative scheme is that a child reads a book, takes an online quiz and gets immediate feedback. Students respond to regular feedback and are motivated to make progress with their reading skills. Our pupils love watching their reading progress using Accelerated Reader, and our teachers enjoy enabling them to flourish.